What helmet you wear? Any recommendation? Re: What helmet you wear? Any recommendation? Hi Peter! I am on my second HJC. I really like the way they fit, the dozens of options for colour and design, the fact they are Snell and DOT, they are built for fitting glasses/sunglasses (makes a HUGE difference), and they are very reasonably priced. I have a Scorpion and an Icon. I like them because of the fit. So many don't have the right shape for me. You need to pick what fits well. Scorpion XL900 modular...really liking it, too; it replaces an Arai Profile that was very comfy and I was sure I'd never find anything that fit as well, but the Scorpion might even be a little better. Thumper wrote: Scorpion XL900 modular...really liking it, too; it replaces an Arai Profile that was very comfy and I was sure I'd never find anything that fit as well, but the Scorpion might even be a little better. I have tried that one on a few times....medium is too tight front to back..and large is too loose. I sure would have liked one of those, though. The white looks so good. 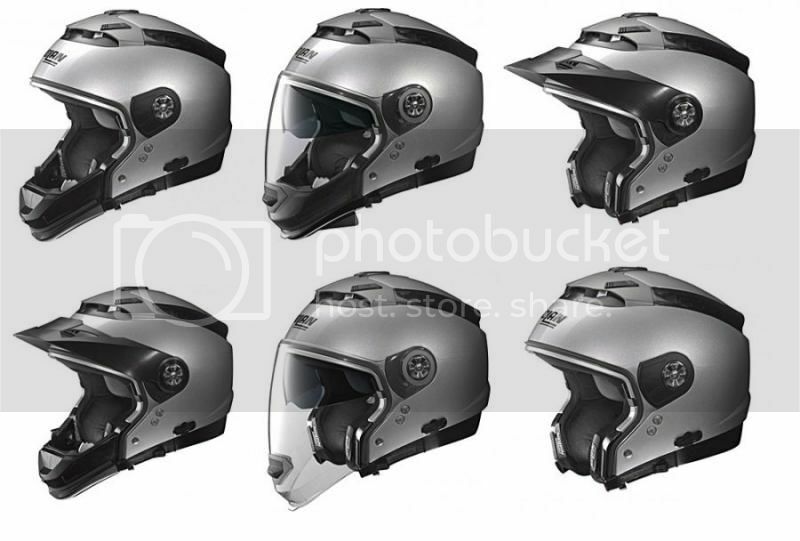 It would make it easier for people to recommend a helmet you might like if you give a few details. 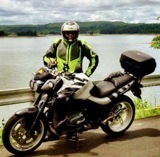 Are you leaning toward a particular kind of helmet (flip up, full face, dual sport, etc.)? What are you looking for (value for money, ventilation, cool looks, etc.)? Anyway, I've got a Nolan N44. It's a "modular" helmet (in the sense that it can be converted into different configurations). Mid-priced, good build quality, really good ventilation and visibility, but a bit loud (although I wear earplugs almost all the time, so this doesn't matter to me as much). I highly recommend it, although I wish there was a true full face version of it but with the same huge eye port. I recommend you go to a motorcycle store and try some helmets on. There is great variation between fit among manufacturers, and even among different models from the same manufacturer. Get what fits. Try it on in the store for 20 minutes before you buy to make SURE it fits. I've owned my Fulmer SS helmet now since 2010 and it's a good helmet (not a super one, but a 7/10)... but I bought it because it was both DOT and Snell approved (and was on sale for $149). Comfortable, average highway noise, but good ventilation. It's starting to degrade now on the vinyl parts so I need another one. I'll be reviewing an Icon Airmada in pure white helmet in the next few weeks: http://www.motorcyclehouse.com/airmada- ... 6-prd1.htm which will be a little bit of an upgrade. I need a new free helmet so I can review it. I've had Bell Star, Bieffe, Shark and Shoei. The Shoei is a modular that I really like but i will be going back to the Shark for a better fit my next purchase. Likely the Evoline. Love that modular thing...especially since I wear glasses, and always will.